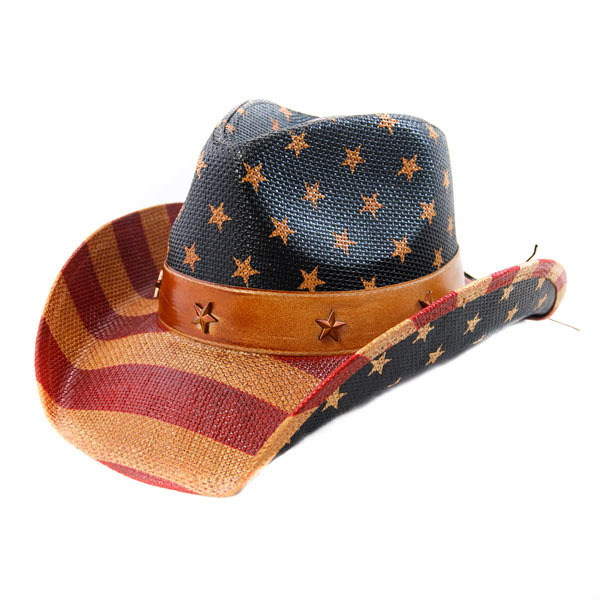 This California Hat Company American flag cowboy style is a customer favorite! Great for just about any occasion, (how often is being patriotic a bad thing? ), stylish, and comfortable to wear, this is a great summer style! Made of 100% durable toyo fibers, it has a wire in the brim for shapeability, hat band detail with 5 stars, a teardrop crown, and an elasticized sweatband inside for comfort. To see this hat with a Vintage wash, please click on the photo below!